If you’re like me, listening to podcasts is one of those things you just do regularly. I always like to have some background noise going on while I’m doing my work, exercising or browsing, and what better to listen to than a few podcasts featuring some of my favorite people? Rarely a day goes by where I don’t listen to a podcast episode, so much that even though I check them regularly, I still have a huge backlog to go through. It gets kind of hectic and insane, and that’s where a app can make your life easier, especially outside your computer. On your PC or Mac, you probably use a all-in-one solution to manage your media, something like iTunes where you can find your music, movies and podcasts in the same place, but that doesn’t really translate well to your phone, now does it? 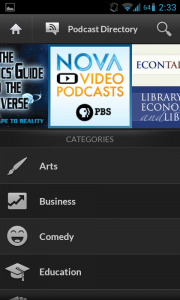 So, why not give a podcatcher a try, and let it fetch and manage your podcasts for you? 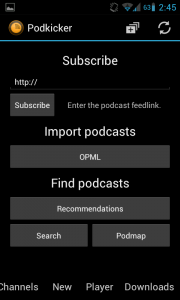 In this post, I’ll review some of the more popular podcatchers in the Play Store, and point out their main features so you can tell if any of them fits you, and what to download. 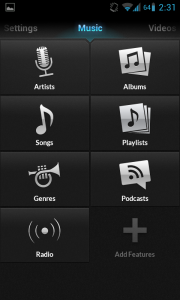 One of the most popular podcast apps in the Play Store, BeyondPod is very well-balanced, fast and has plenty of features while not being overwhelming. 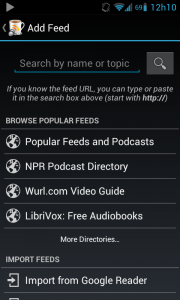 It allows you to search for new podcasts from the app yourself, or simply add your pre-existing ones by importing them from a file or a RSS client like Google Reader. It also lets you define if you want to stream the episode right away, or download them for later, and so it lets you just listen to something on the go or download what you want in advance, even automatically, and listen later without a data connection. Another really useful feature is that it doesn’t require you to have the app open at all, just like a standard music player you can just press play and then press the home button to return to your homescreen and do something else and the podcast will keep playing on the background. But this app does one better, because it adds control buttons on your notifications pane that allow you to pause, skip, let you know the progress and go directly to the player, hassle free. The download is a 7-day trial, and after that it still works with limited functionality, although I don’t notice anything very relevant being missing. Either way, t’s still very functional and doesn’t nag me to buy a key, and I consider it to be one of the best if not the best podcatcher available on Android. 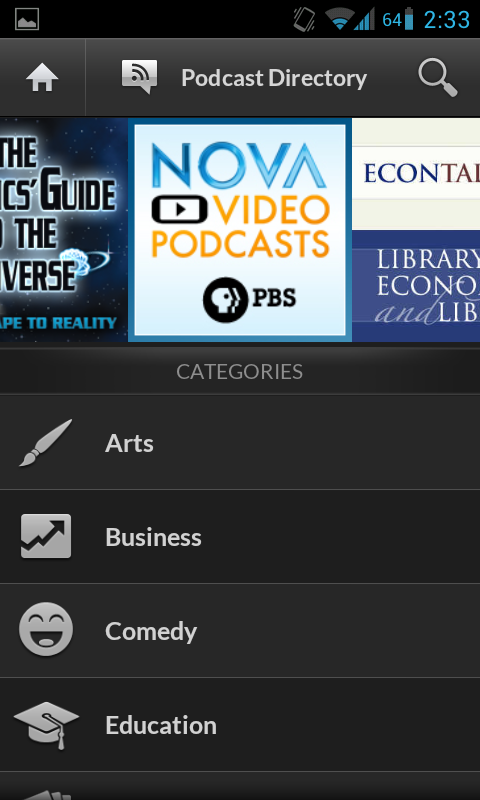 SimpleReader is, like the name indicates, a very simple and bare-bones podcatcher app. In fact, apart from gathering your podcasts in a single place, there’s not much more. 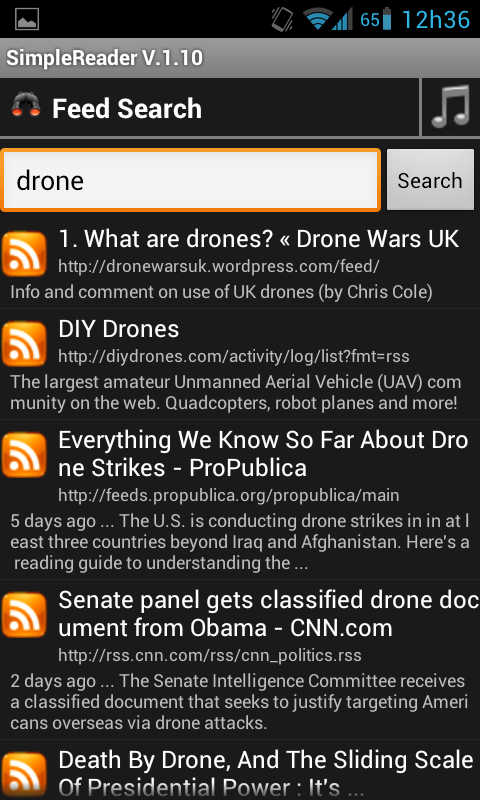 It takes standard RSS feeds, has no import or export options, searching is as simple as it gets and doesn’t specify podcast formats, so you may have to wade through incorrect RSS feeds to get what you want if you’re not sure. It’s handy enough to use if you have a direct RSS link, but it really is a bit bare-bones on the feature side, maybe a little too bare-bones. It certainly is fast and light though, so if you have an older device or just need a simple and hassle-free podcatcher, this can be a good choice, I suppose. It’s also free and not complicated to figure out, so it has that going for it. DoubleTwist is a weird beast. It’s not really a podcatcher per-se, even if it has that ability, but in fact it’s more akin to iTunes than something like BeyondPod. 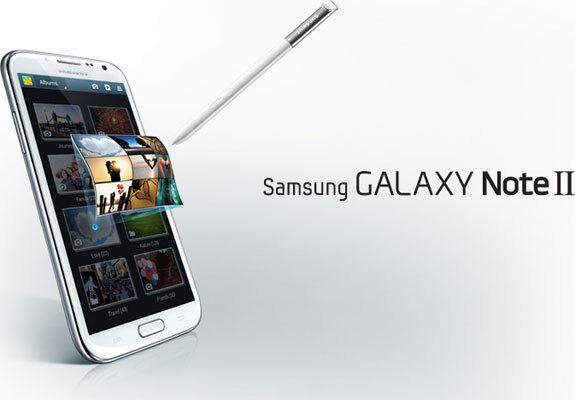 It’s a full featured media player, with video, music, podcast and internet radio capability, and it has a companion app for Windows that actually lets you sync your media from iTunes with their Android app. This includes, of course, any playlists and podcast subscriptions you may have through iTunes. The app itself is pretty featured, although it has its own UI, something I don’t like (in a perfect world, all apps would use Holo or any other standard Android theme). 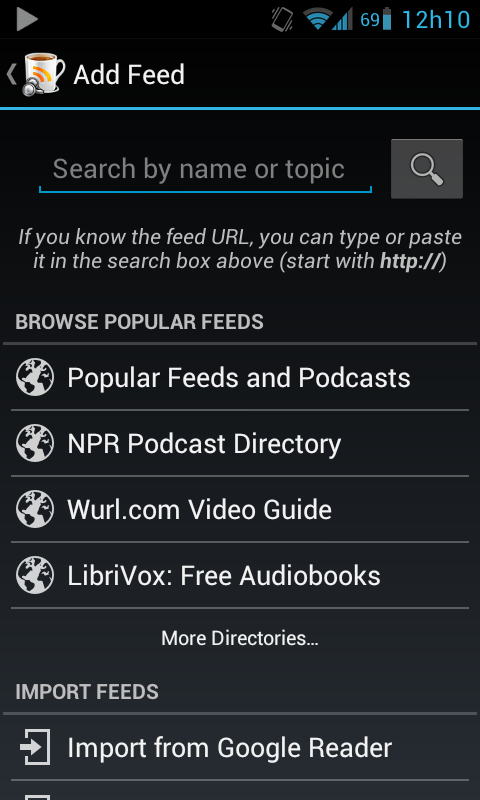 The settings are pretty in-depth, and like BeyondPod it allows you to automatically download podcast episodes. It also automatically fetches artwork and artist information if you choose to, and navigating between panels is very easy and requires a single sweep. There doesn’t seem to be any way to manually add podcast feeds, which is kind of dumb and ends up defeating the purpose of having podcast on-the-go, but you can do it from the PC app, so it’s not all bad even if it means you have to do it well in advance. Still, the developers say this feature is coming soon, but at this moment it can be a sticking point. This particular app is one of my favorites as well. 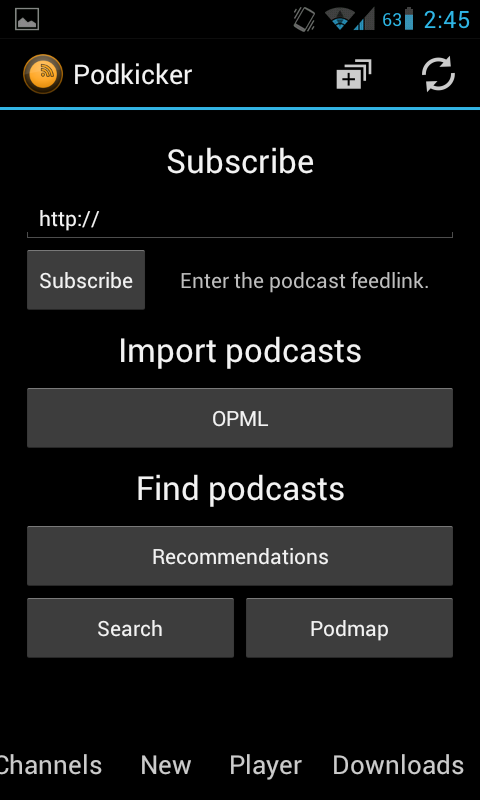 It resembles SimpleReader in simplicity and look, but it offers more features and features that actually matter, including importing and exporting your podcast feeds (so you can transfer your subscriptions from Google Reader or even another app like BeyondPod). It looks very simple, no fuss, just a list of stuff you’re interested in and a basic player. There are a bunch of options for adding a new subscription, including importing from a file, based on your preferences (it recommends a new subscription based on your subscriptions so far), a direct link or by search. Again, to the point, no hassle, very simple to use. The recommendations seem to be interesting and not simply random, and you can definitely discover something that suits your taste if you’re bored or just looking for something new to listen to, which is nice. It’s also completely free, although there is a Pro version with enhanced settings if you’re into that. 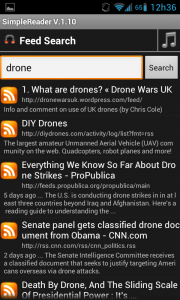 All in all, these are the podcatchers for Android which I find the most interesting and varied. They all do the same but are different enough in terms of features and aspect that you can choose one based on what you’re looking for, from the bare-bones SimpleReader to the media bundle that is DoubleTwist. Choose the one which suits your needs best and I’m sure you’ll be satisfied with your podcast listening experience.